Vintage: Less dry than the previous year, characterised by scarce rainfall in Spring and September. 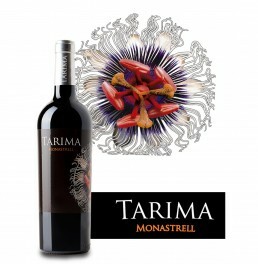 Large temperature range in the last weeks of August and first of September leading to slow ripening of the Monastrell. Production: Traditional viticulture with minimal intervention. Harvest takes place in the second fortnight of October. Native yeasts, fermentation in vats, malolactical fermentation in steel pools and aging in a French barrel (used the previous year for Tarima Hill) for 6 months. Jeb Dunnuck: 91 points Tarima Monastrell 2016. R. Parker Wine Advocate: 91 points Tarima 2015. Guía Peñín: 92 points Tarima 2015. J. Raynolds - Vinous: 91 points Tarima 2015.
eRobertParker.com: 91 points Tarima 2015. R. Parker Wine Advocate: 87 points Tarima 2014. Guía Peñín: 89 points Tarima 2014. Wine Spectator: 87 points Tarima 2014. Guía Peñín: 91 points Tarima 2013. Wine Spectator: 86 points Tarima 2013. Stephen Tanzer: 90 points Tarima 2010 - 2012 - 2013. Guía Peñín: 92 points Tarima 2012. 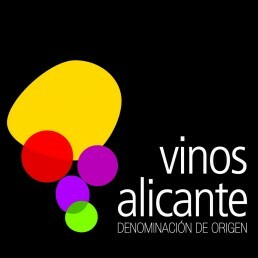 Alicante wines have been awarded numerous national and international awards, and they are highly rated by wine experts. Over time, various Iberian settlements, Greeks, Phoenicians, Romans, Arabs as well as Christians have contributed to the historical background and experience of this D.O. (designation of origin) which spans thousands of years. Archaeological finds have disinterred ancient villas, wine amphoras, jugs, utensils as well as other amphora remains. In 1510, King Ferdinand the Catholic banned the distribution of wines from other territories. Orihuela, Jijona, Monforte and Novelda were at that time high yielding wine producers. According to the D. O. Alicante Regulatory Council, there are 44 wineries spread across an area of 14,613 hectares of vineyards situated on both sides of the Vinalopó River in Alicante province. White varieties – Chardonnay, Macabeo, Meseguera, Moscatel of Alexandria, Sauvignon Blanc, Planta Fina and Verdil.  And red varieties – Garnacha Tinta, Garnacha Tintorera, Monastrell, Tempranillo, Bobal, Cabernet Sauvignon, Merlot, Noir and Shyra. Wines produced in Alicante include young, white, rosé and red (with an indication of the vintage on the label), harvest, aged (aged for 24 months), reserve (aged for 36 months) and grand reserve (aged for 42 months), mature wines and muscatel wines produced in the Marina area from the Moscatel of Alexandria grape variety, as well as the internationally renowned Fondillón made from the Monastrell grape. Aged wines must be at least two calendar years old.